So this weekend we have started “Operation Top Floor”. 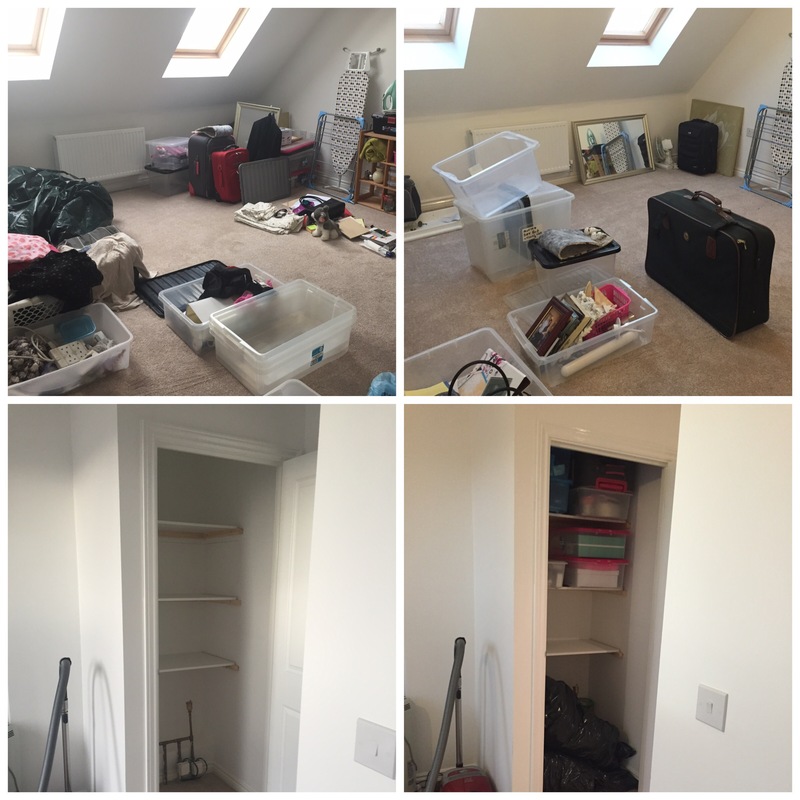 We moved into our 3 storey house just over 6 months ago and we’ve been working on transforming the new build house into our home. This house doesn’t have a loft we can use as storage, so as we don’t have furniture yet to put on the top floor, it’s sort of become our storage/laundry/workout area. We are hosting our eldest niece’s 9th birthday party in a few weeks so at the very least it needs to be ready for a Princess party! It’s a work in progress, but after today, we are definitely getting somewhere. Do you Qualify as an Adult?